NAV-X Credit Card displays several notifications and messages throughout the process. You can customize, if you want to see certain messages or not. This can be done under “My Settings”. You can access these notifications by opening “My Settings” and then go to “Change when I receive notifications.”. The following notifications can be changed by unchecking the field “Enabled” on the page. Show notification for customer with declined transactions. If you are on a customer card and the customer has credit card transactions that were declined and the orders therefore could not be processed, a notification is shown on the customer card. 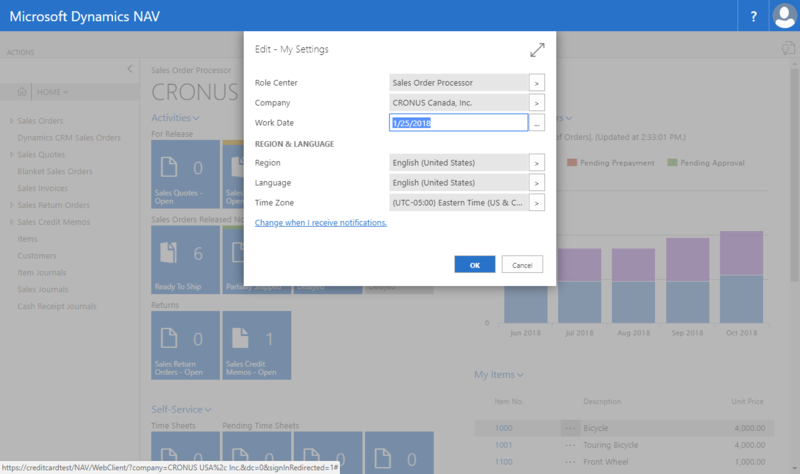 Show notification for sales document with declined transactions. If you are on a sales document and a declined transactions led to the document not being authorized or charged, a notification will be displayed. Show message for successful authorization. When a credit card has been authorized, a message is shown confirming the success. 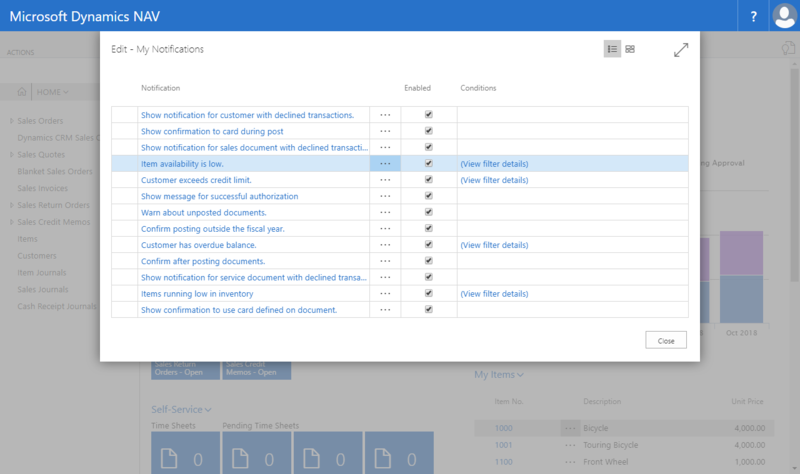 Show notification for service document with declined transactions. If you are on a service document and a declined transaction led to the document not being authorized or charged, a notification will be displayed. Show headline for NAV-X Credit Card documentation. A headline will be displayed on the role center to allow easy access to the online documentation for NAV-X Credit Card.